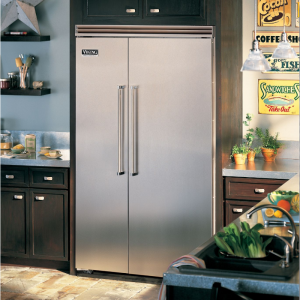 Think of the Viking Professional refrigerator line as your kitchen armory. 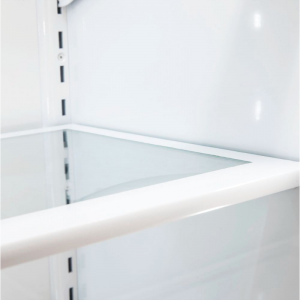 With refrigerators, freezers, wine cellars, beverage centers, and ice machines you’ll have enough cold storage to keep all your fresh ingredients on hand and fresher up to three times longer than other refrigeration systems. 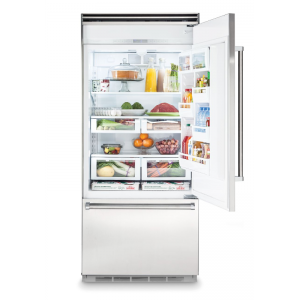 You’ll manage your food supply more efficiently and economically while making fewer trips to the market. Viking Professional 7 Series fully integrated built-in bottom-freezer features exclusive patented BlueZone Fresh Preservation Technology and other industry exclusive features including internal filtered water dispenser, capacitive touch controls, and a dual compressor system. 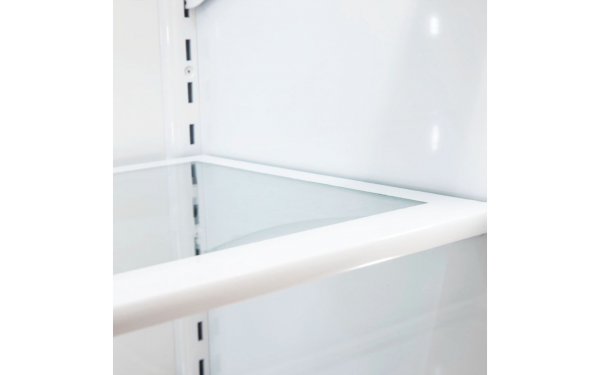 Available in 36″ width. 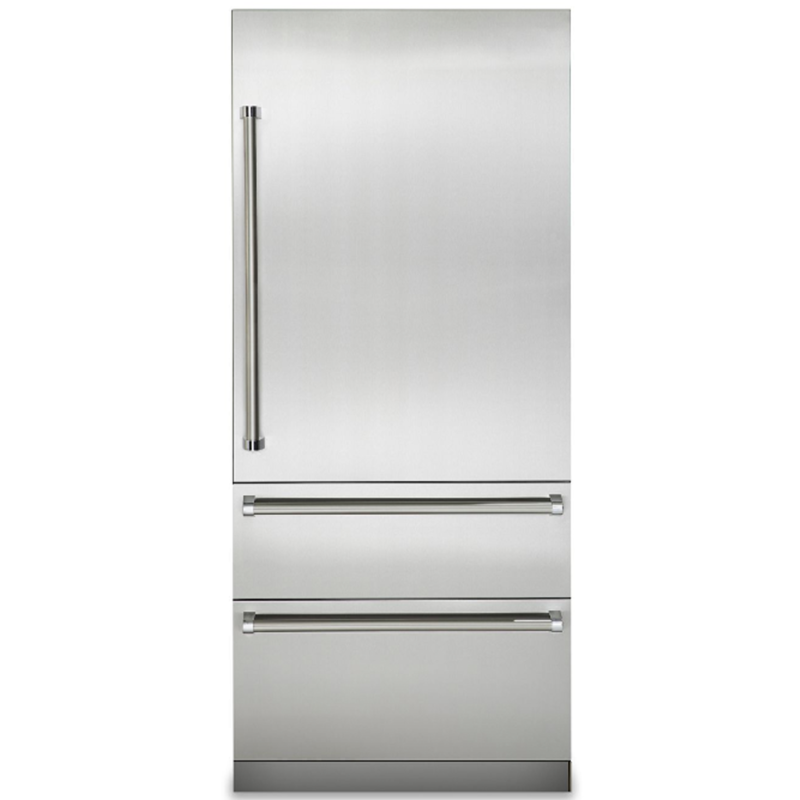 Custom panel model also available. 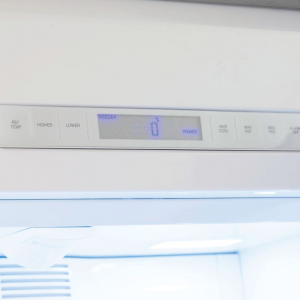 This bottom-freezer features a drawer-type freezer with easy access storage baskets, so you don’t have to stoop for ice cream. 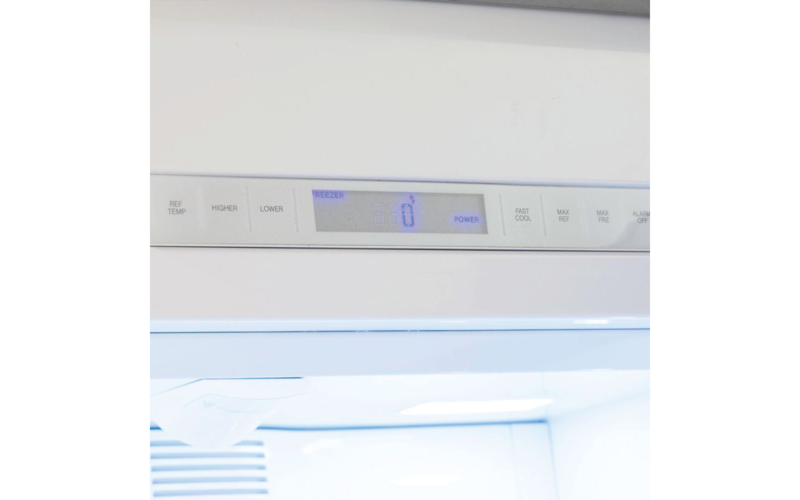 The refrigerator readily stores all your fresh foods at eye level, and both compartments are brightly lit with LED lighting. Available in 36″ width. Custom panel model available. 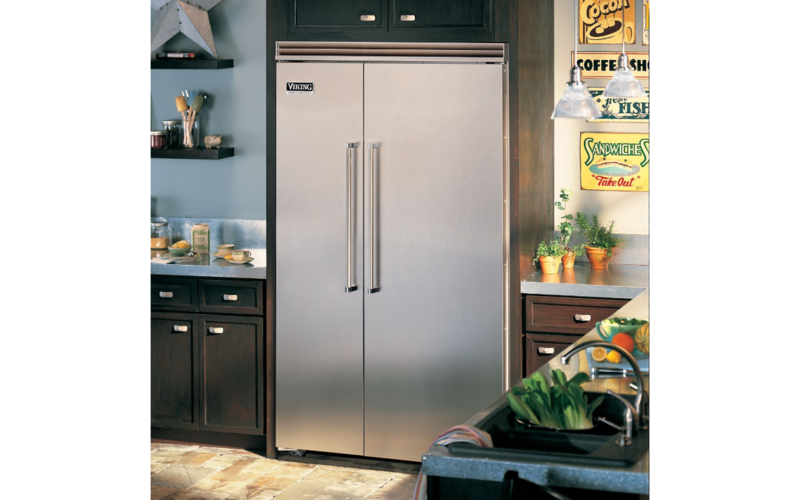 The side-by-side models complement the commercial-style kitchen in both form and function. 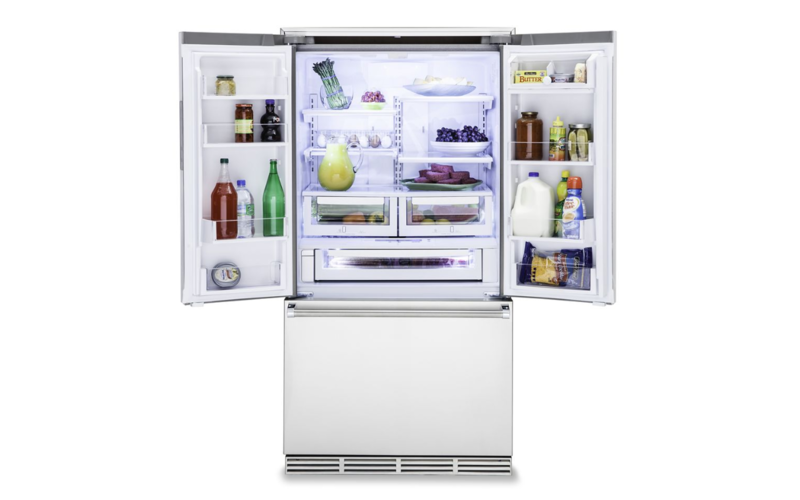 Exceptional features such as LED lighting and SpillProof Plus Shelving along with large capacity provide superior cold storage. 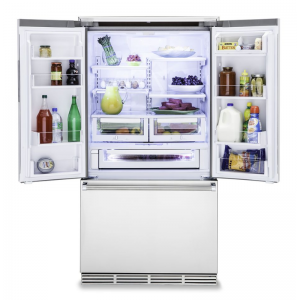 Available in 42″ and 48″ widths. Custom panel models available. 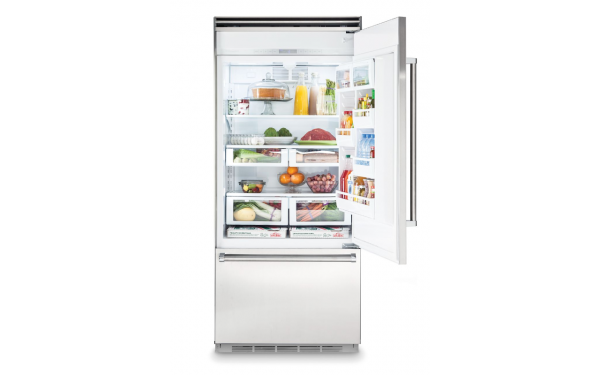 All refrigerator and all professional, these models deliver the ultimate in refrigeration. 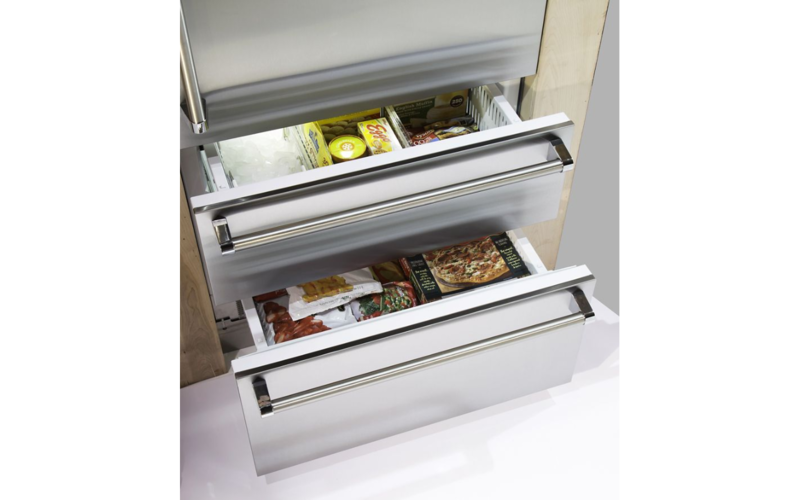 A variety of easy access drawers with moisture control allows for custom storage. 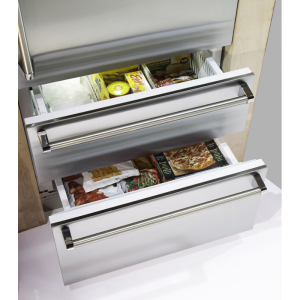 And the increased drawer capacity even leaves room for an entire deli tray. 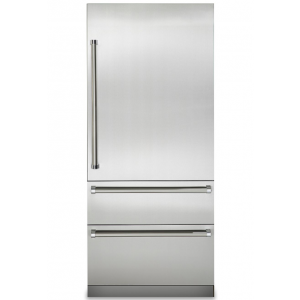 Available in 30″ and 36″ widths. Custom panel models available.